An engagement party is important for many reasons. This way you are announcing to the world your immediate connection with a person that you intend to marry. For this you deserve a party with a great success starting from the party invitations. You can find many designs with various styles and concepts that can fully cover your needs. 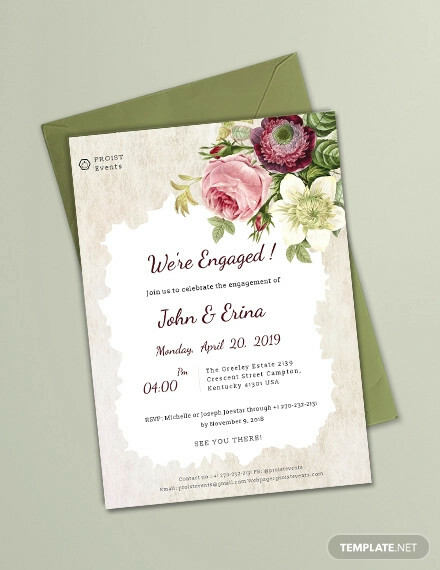 The following list will help you see some of the available engagement party invitations to inspire you. All across the web you can find many designs that are free of charge. 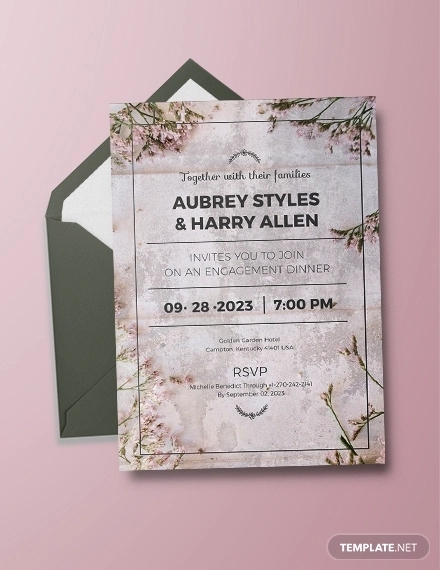 These designs offer you stylish engagement invitations that can be customized to fit your needs while their high quality in resolution gives you excellent printable results. You may also see Family Reunion Invitation Designs. 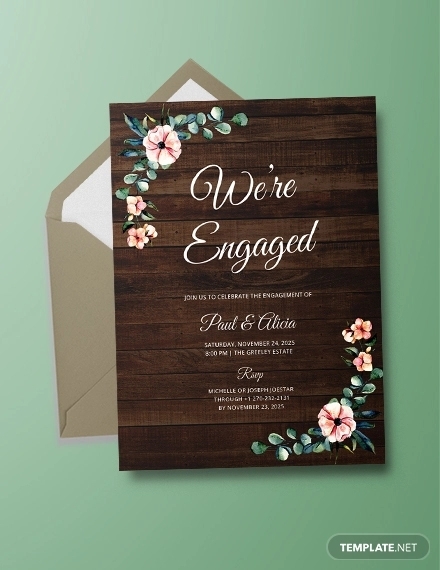 A classic design will give you a timeless quality adding a unique look to your invitations. 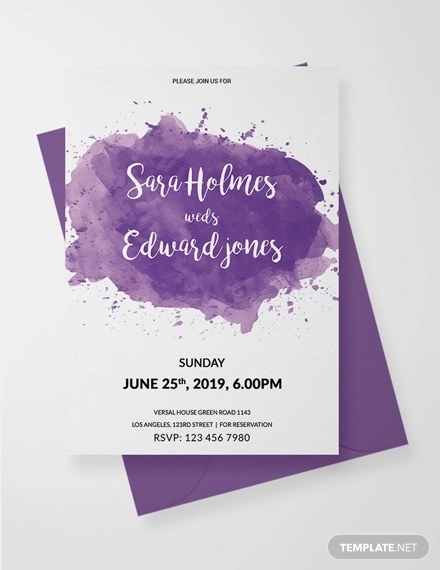 You can choose the invitation based on the font types and the graphic designs in order to find the best one for your needs. 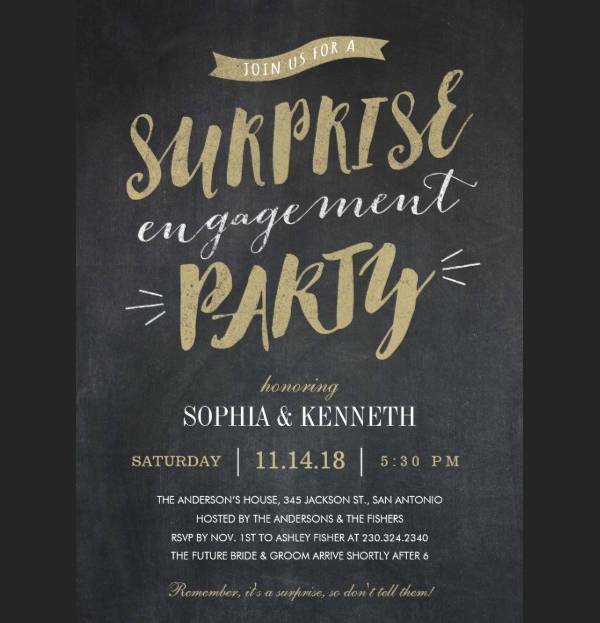 Surprise parties have to be done in secrecy so that takes for a creative engagement party invitation that will alert everyone to keep the secret. The designs available come in many colorful versions with wonderful layout and excellent graphic designs. Give a seasonal theme to your engagement invitations for a stylish touch. 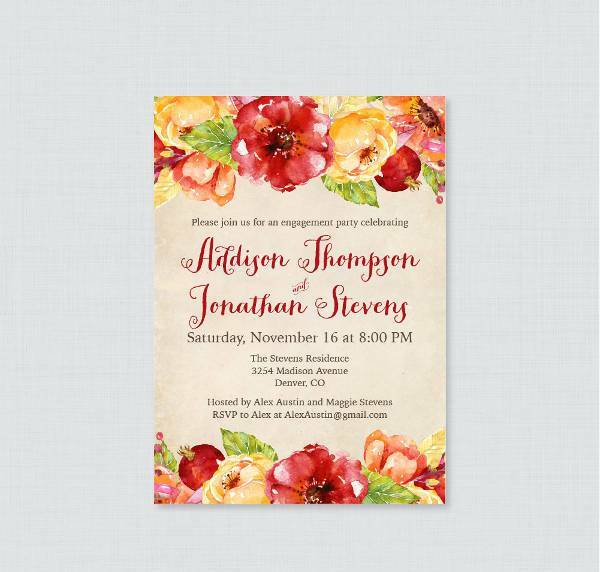 Fall invitations have an assortment of colors like red, yellow and brown with all their in between shades that add a timely design with marvelous results and personality. 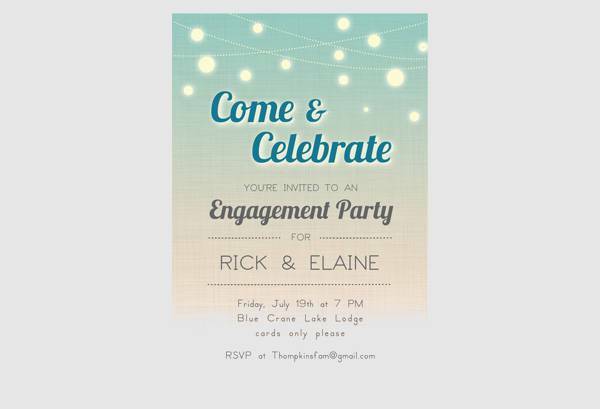 You can find many tools to create your own engagement invitation. 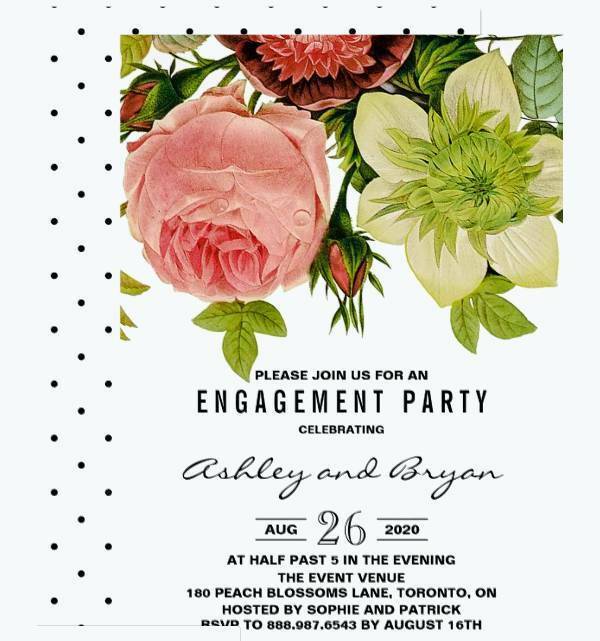 With a creative and stylish font design you can create an invitation that has beautiful graphics and fabulous content that you can decorate them with rhinestones, lace and ribbons. Cocktail parties have a luxurious tone that you can incorporate in your formal invitations too. You can go for a beautiful background with perfect graphics and stunning fonts that will bring a glamorous elegance that everyone will remember for years. 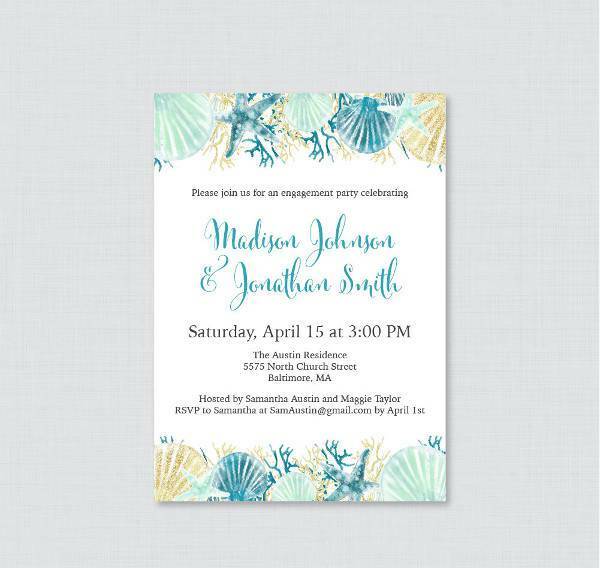 Themed designs have an attractive look that adds a pleasant tone to your invitations. You can go for a design that draws inspiration from the beach. Golden sand and waves will give you an exotic look with really mesmerizing results. 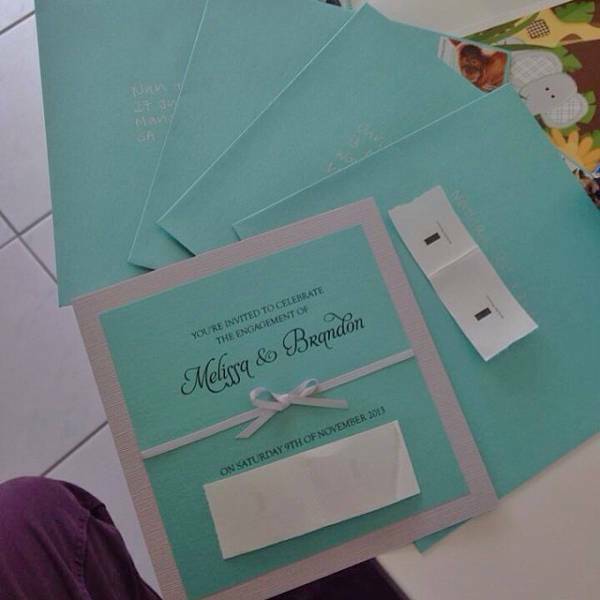 Invitations are used to inform your guests about the upcoming event that you are planning. 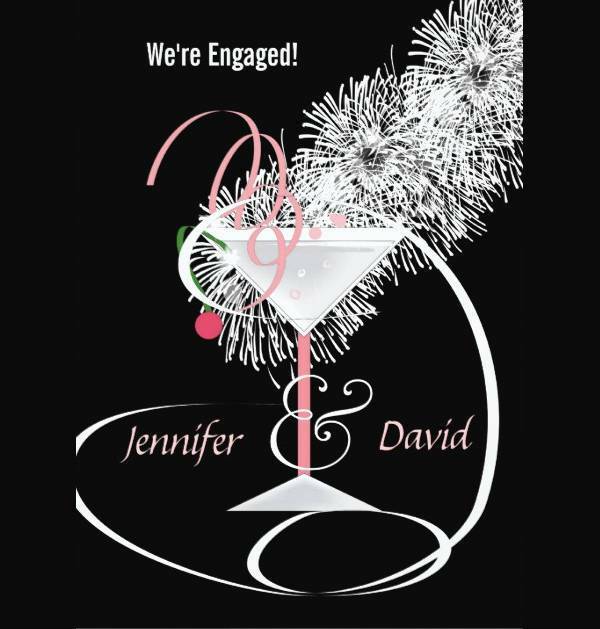 An engagement party can have any tone and style allowing you to use the right invitation design that will set the mood. 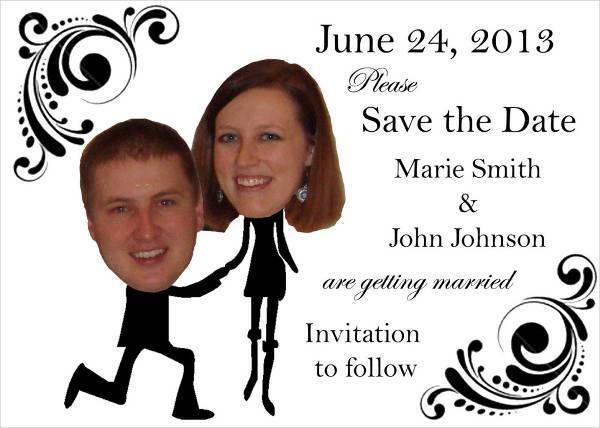 Choose an invitation with a humorous content regarding fonts and graphics for a casual party. 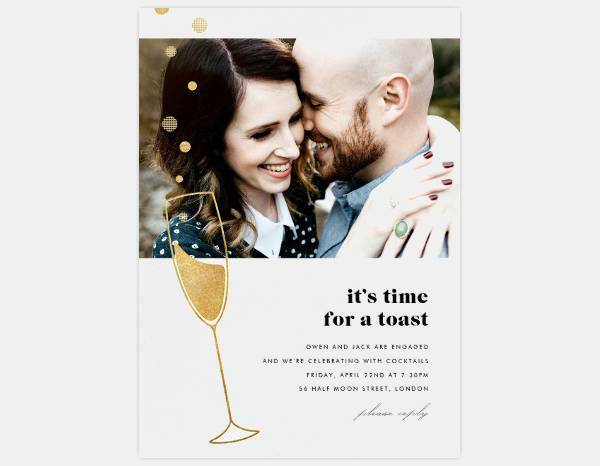 If you want a posh party, you need an elegant invitation with luxurious style and crisp fonts that will impress your guests. 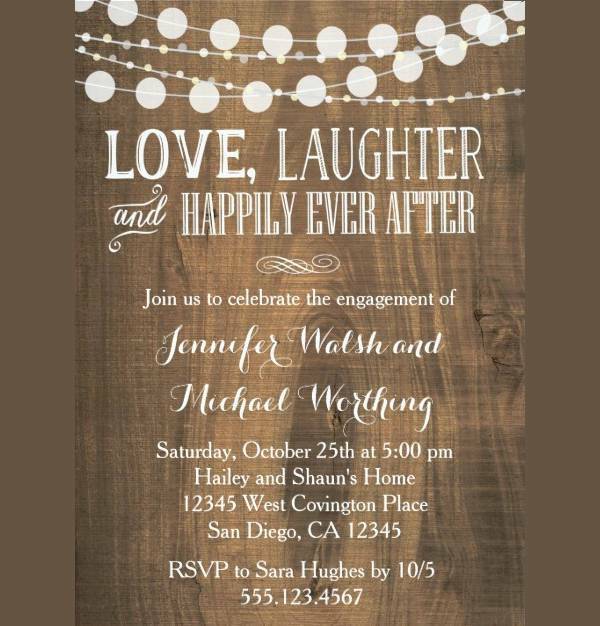 Engagement parties might require formal or casual invitations. This will be determined by the type of party you want to plan. 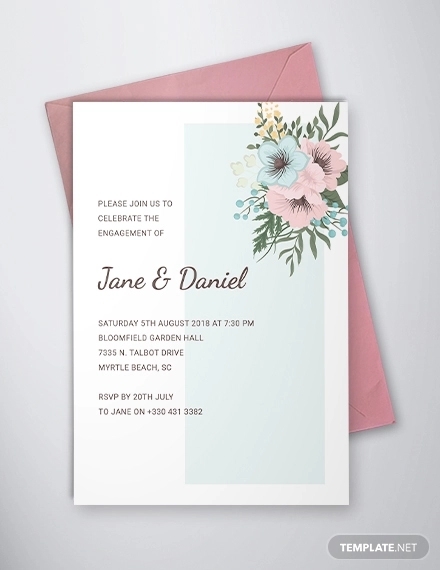 Don’t be afraid to go for a colorful option since these designs have an attractive look that is captivating and memorable like the bridal shower invitations that require character.